Seminars on Accreditation & Standards in Education in UK by OFSTED (The Office for Standards in Education) in OFSTED, London, UK. Workshop on Accreditation & Standards in Education in UK in Teacher Training Agency, London, UK. Seminars and Workshop Program on Accreditation & Standards in Education in USA by Arizona State University, International Project Unit in Harvard University, Boston, MA, USA. National Conference by YÖK/World Bank National Education Development Project in Van Yüzüncü Yıl University. Seminars and Workshops on Accrediation by YÖK/World Bank National Education Development Project in Ankara. Accreditation in Pre-Service Teacher Education by YÖK/World Bank National Education Development Project in Trakya University, Edirne. Accreditation in Pre-Service Teacher Education by YÖK/World Bank National Education Development Project in Ankara. Partnership in teacher education between faculty and schools by YÖK/World Bank National Education Development Project in Ankara. Seminars on teaching English as a foreign language by YÖK/World Bank National Education Development Project in Ankara. Panelists: Asst.Prof.Dr. 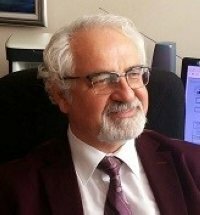 Turan Paker, Asst.Prof.Dr. Fehmi Can Sendan, Asst.Prof.Dr. Hülya Yumru, Asst.Prof.Dr.Sema Tuncel-Aksungur, Asst.Prof.Dr. Hasan Bedir. Topic: Partnership in teacher training between faculty and schools. Presentation: The re-structuring of foreign language (English) teaching according to 4 + 4. Place: Pamukkale University, Faculty of Education. 2017 1-4 October, 2017 attending the 6th international meeting in Slovenya, Rogaska, Slatina, Ljudska Univerza in terms of Erasmus + project titled as "Social integration of immigrant students by using drama applications." 2003 8-12 September, 2003 visit to Hogeschool Van Arnhem en Nijmegen’in the Netherlands for a week on pre-service teacher training in the Netherlands.